Traditional Acupuncture is a safe and effective system of medicine that originated in China thousands of years ago and still forms an important part of mainstream healthcare there today. In Traditional Acupuncture we view the human body in a holistic way. We focus on the health of the person as a whole and emphasise the connection between physical and emotional health. Every person is unique and one individual may become ill for different reasons to another so in Traditional Acupuncture we design each treatment according to the individual’s needs. In Traditional Acupuncture, good health involves a smooth flow of energy (Qi) through channels in the body. Illness, injury or emotional stress occur when Qi is out of balance or unable to flow freely. Acupuncture maintains the body’s equilibrium and flow of Qi, by inserting fine needles into specific points on the body. This concept may seem a bit wacky, but Qi can actually just be seen as a metaphor for metabolic functions or chemical changes constantly taking place in the body. Someone receiving acupuncture will often report an increased sense of well-being as well as improvement in the symptoms which brought them to treatment. Over 20% of the UK population suffer with ‘unexplained’ discomfort and irregularity in bowel habit. The term Irritable Bowel Syndrome is used to describe symptoms such as abdominal pain or discomfort, bloating, swelling, bouts of diarrhoea and/or constipation and feeling sick. It is a chronic, recurring and often debilitating condition which can cause misery for sufferers. There is no single cause of IBS. Some people can trace their IBS back to a single event such as a bout of food poisoning or infectious illness; however in most cases the cause is unknown. Some people find their IBS is triggered by sensitivity to certain foods, others find it is exacerbated by stress or emotional states. Each person’s experience of IBS is different. This lack of understanding of the cause means that conventional medicine finds IBS very hard to treat, instead focusing on symptom relief with antispasmodic drugs. This variation in symptoms and triggers isn’t a worry to an acupuncturist as we look at each individual’s symptoms and experience to fully understand what disturbances there are in their system and why. By working out why and how someone’s digestive system isn’t functioning, we can customise treatment, addressing the root cause for each individual to bring about relief. Alongside acupuncture we may make suggestions for lifestyle changes that may be helpful in combating IBS symptoms. This could be dietary changes, or techniques such as meditation to address more emotional causes. Increasing parasympathetic tone. Stress activates the sympathetic nervous system, which can stimulate colon spasms, causing pain and discomfort. In people with IBS, the colon can be oversensitive to the smallest amount of conflict or stress. Acupuncture activates the opposing parasympathetic nervous system, which initiates the relaxation or ‘rest and digest’ response. Reducing anxiety and depression. Distressing IBS symptoms can lead to a vicious cycle of anxiety-pain-anxiety and lead to feelings of depression. Acupuncture can alter the brain’s mood chemistry, increasing production of serotonin and endorphins to combat these negative emotional states. We treat several people together in one room. It is possible for us to work in this way because acupuncture needles usually take 20-40 minutes to do their work. We are able to place needles in one patient, leave them to relax into their treatment, and then move on to another patient. At the People’s Acupuncture Project up to 6 people are treated at the same room bringing a community spirit to the experience. You may feel nervous about coming into this environment but we are a very warm and welcoming clinic. Patients in multibed clinics consistently report that they like the sense of togetherness and humanity they find. Research shows that patients treated in multibed clinics report many positive experiences and very few negative. Some people may be concerned about privacy but it isn’t usually necessary to remove clothes as the most-frequently used points are on the arms and legs. Wearing loose clothing means we can get to the points we need. We also have gowns and blankets available if necessary. We will do everything we can to ensure you feel comfortable. Give us a call or drop us an email for a discussion about how acupuncture can help you, how we work, or other query you might have about treatment. We all feel anxious sometimes, anxiety is a natural emotion. However, when it becomes persistent, irrational and excessive it can affect your quality of life. Anxiety disorders include generalised anxiety disorder, panic disorder, phobias, obsessive compulsive disorder (OCD) and post-traumatic stress disorder. They can all cause considerable distress and disability. As well as emotional symptoms such as nervousness, worry, disturbed sleep, irritability and poor concentration, anxiety can cause physical symptoms such as sweating, nausea, diarrhoea, palpitations, breathlessness, dizziness, muscle tension, trembling and twitching. Also, physical conditions can become worse with anxiety, for example, irritable bowel syndrome, migraines and tension headaches, and back pain. Acting on areas of the brain known to promote relaxation and deactivating the ‘analytical’ brain, which is responsible for anxiety and worry. Regulating levels of neurotransmitters and hormones to help to combat negative affective states. Activating the parasympathetic nervous system, initiating the relaxation response. Reversing pathological changes in levels of inflammatory cytokines that are associated with anxiety. Reversing stress-induced changes in behaviour and biochemistry. Acupuncture is a safe drug-free treatment. It can be safely and effectively combined with conventional treatments such as medication or talking therapies and CBT. It seems like spring is finally here! But while many people are looking forward to enjoying the summer ahead, for 20% of our population it not such an enjoyable season. For those that suffer with hay fever, or seasonal rhinitis, it can be a miserable time of year. But sufferers should know that this need not be the case. Acupuncture can both relieve the symptoms of hayfever and prevent your immune system over reacting to the pollen in the first place. It can be used successfully during the hay fever season but is most effective as a preventative treatment. It is advised to seek treatment before the hay fever season starts, in early spring, to support the immune system for the coming spring and summer. Acupuncture focuses on treating “the Root and the Branch.” This means that treatment during the hay fever season will address the immediate symptoms, the itchy eyes, the stuffy nose etc, but most importantly preventative treatment will focus on treating the cause of your hay fever. The diagnosis will look at how your body responds to triggers, and why your immune system has such an extreme response to something as seemingly harmless as pollen. 7-13 March is Acupuncture Awareness Week! Our focus this year is on how acupuncture can help sports injuries. Acupuncture is a fantastic treatment for muscular-skeletal pain and injuries sustained from sport (or any other reason!). We see all kinds of injuries in clinic, they are some of the most common things we treat, and they respond really successfully to treatment. Olympian Rebecca Addlington is a great fan of acupuncture and uses it to help with injuries and performance. watch the video above to hear her talk about how acupuncture helps her. We are very excited that Tom Hirons will be joining us as an acupuncturist from today. Tom will be taking over from Charlotte who has gone on maternity leave. Tom used to work with us back when we started in 2012, and he went on to set up Source Point Community Acupuncture in Morton Hampstead. We are very much looking forward to working with Tom over the next few months. Please join us in welcoming him, and you can read more about him here. Welcome to Pippa, our new acupuncturist! You may have noticed that we have become a little busy recently. 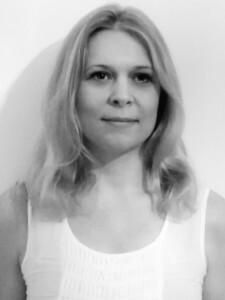 It is therefore with great delight that we announce that Pippa Brown is joining us as a new acupuncturist. Pippa is starting with us tomorrow 10 June. She is fantastically experienced, having working in community multibed clinics in Hove, Lewis, and Morton Hampstead. She finds it incredibly rewarding to be part of a low-cost community acupuncture team, helping to create a group healing space and making acupuncture affordable and accessible to all. Pippa studied at the Integrated College of Chinese Medicine in Reading and practices a combination of Five Element acupuncture and Traditional Chinese Medicine. Her specialist interest is emotional health and she enjoys creating a healing space for patients to connect deeply with their energetic state. We are so excited to have Pippa join us, it means we are able to provide affordable acupuncture to even more people in Exeter, and people will no longer need to wait so long for a first appointment. If you have been on the waiting list we should have already been in touch to book you in to see Pippa. Welcome Pippa! we are super excited about working with you. Spring is here! But while many people are looking forward to enjoying the summer ahead, for 20% of our population it not such an enjoyable season. For those that suffer with hay fever, or seasonal rhinitis, it can be a miserable time of year.